Samsung Galaxy A7 (2018) Was Launched With Android 8.0 Oreo Last Year. 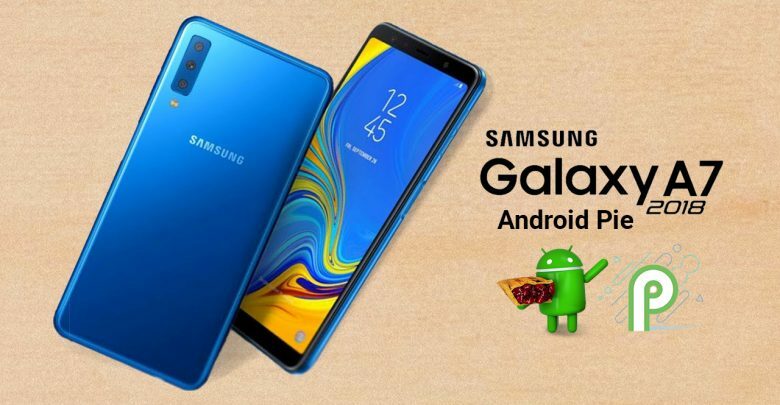 The Samsung Galaxy A7 (2018) start receiving the stable Android Pie update in Russia. The latest update brings the February 2019 Android security patch. The South Korean company has finally launched the Android Pie update in Poland and Russia. Besides that, the new update also brings One UI stable on top and come along with the February 2019 security patch. The update also carries a software version A750FNPUU1BSC4 in Russian region. Soon it will start rolling in other region. The Samsung Galaxy A7 (2018) was launched in India with Android 8.0 Oreo last year. The update changelog includes features like the ability to reply to messages directly in the notification panel, and night mode to help keep eyes comfortable. It also consists of a new adaptive theme and availability of floating keyboard in all apps. Furthermore, the new drawer menu makes it easier to manage contacts for various accounts. Since the update is being rolled over-the-air, so it may take some times to comes on your device. We hope it will be available for the all Galaxy A7 (2018) users in the coming weeks. Also, the users can manually check for the update by going to Setting> About phone> Software update. This Smartphone has a 6-inch full+HD (1080 x 2220) pixel super AMOLED infinity display. The aspect ratio of this display is 18.5: 9 and it also comes with Gorilla Glass 3 protection. The phone also has the power of Samsung Exynos 7885 Soc and octa-core 2.2 GHz processor. The device has two variants 4GB and 6GB paired with 64GB and 128GB internal storage. The storage can be expanded up to 256GB by a microSD card. The phone has triple cameras set up at the back. First of all, 24-megapixel main sensor with f/1.7 lens, 8-megapixel secondary sensor, and 5-megapixel depth sensor. Besides that, the Samsung Galaxy A7 has a 24-megapixel fixed focus front Selfie camera along with f/2.0 lens with LED flash. The connectivity features include with 4G VoLTE, dual-band Wi-Fi 802.11 ac, Bluetooth v5.0, ANT + NFC with Samsung pay support, GPS, GLONASS, Beidou and also a 3.5mm headphone jack. This Smartphone also has accelerometer, gyroscope, proximity sensor, RGB Light sensor and side mounted fingerprint sensor. Besides that, the phone also pack with 3300 mAh battery which is might be staying long day’s runs. 6-inch HD+ OLED display with 1080 x 2220 pixel resolution. 24MP+8MP+5MP rear camera and the front side 24MP selfie camera. 4GB RAM+64GB and 6GBRAM+128GB inbuilt memory. Ambient light sensor, gravity sensor fingerprint sensor, gyroscope, compass, and a proximity sensor. The Galaxy A7 (2018) 4GB with 64GB Storage variants is available at Rs. 18,990, and 6GB with 128GB Storage capacity variants at Rs. 22,990. The smartphone is available in three colors variants options Gold Millennial, Premium Black, and Striking Blue. Thanks for reading this article. You can write your comment in our comment section below and stay tuned to twistarticle for more news and update.